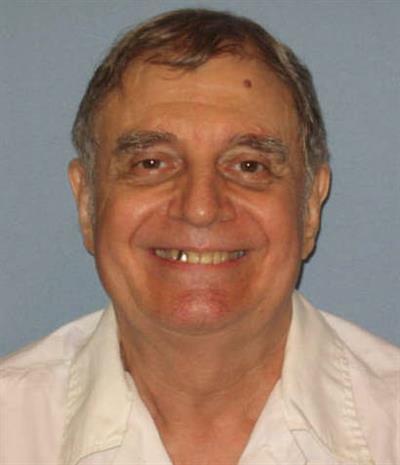 Thomas Douglas Arthur was executed by the state of Alabama on Friday, May 26, 2017. He was pronounced dead at 12:15 am CDT, inside the execution chamber at the Holeman Correctional Facility in Atmore, Alabama. His execution was delayed several hours due to appeals. He was 75 years of age. He was executed for the murder of 35-year-old Troy Wicker, which occurred on February 1, 1982, in Muscle Shoals, Alabama. Thomas spent the last 33 years of his life on Alabama’s death row. In 1977, Thomas was convicted of murdering Eloise Bray West, the sister of his common-law wife, after she refused to reveal the location of his wife. Thomas received a life sentence for the this murder. While serving time for the murder of Eloise West, Thomas Arthur joined a work release program, in which he would leave the prison to work during the day and return in the evening. Arthur, while on work release, began an affair with Judy Wicker, wife of Troy Wicker. In 1982, Judy offered Arthur $10,000 to kill her husband, to which Arthur agreed. Arthur acquired the ammunition for the murder from an acquaintance, whom he told he was going to use the supplies to kill someone. On February 1, 1982, Arthur entered the Wicker resident wearing an “afro” wig and in dark makeup to disguise himself as a black man. Troy was shot through the right eye at close range with a pistol, which killed him instantly. Judy told police that after dropping the kids off at school and arriving back at the house, she discovered a black man in their home. According to Judy, the man raped her and knocked her unconscious before killing her husband. Police discovered discrepancies in Arthur’s work release times and payment logs, prompting an investigation. Arthur was not at his job on the day of the murder and police discover $2,000 in cash in Arthur’s personal belongings a few days after the murder. Judy had paid Arthur from the $90,000 in life insurance she collected from Troy’s death. Police arrested Judy and Arthur for Troy’s murder. Judy was arrested and sentenced to life in prison for the murder of her husband. Initially, Judy claimed that Arthur was not involved in the crime. Years after her conviction, she agreed to testify against Arthur at his trial, in exchange for a reduced sentence. She testified that she paid Arthur to kill her husband and strike her several times so that it would look like she was also attacked. Arthur always maintained that he was innocent. Arthur was tried, convicted and sentenced to death on March 22, 1983. This was Arthur’s eighth execution date. All previous executions were stayed for various reasons, including in 2008, when a man named Bobby Ray Gilbert came forward and confessed to the crime. Limited DNA testing failed to link Bobby to the crime scene and a judge ruled his confession as lacking credibility. Please pray for peace and healing for the family of Troy Wicker. Please pray for the family of Thomas.